Leslie Wilcox is President and CEO of PBS Hawaii. Under her leadership, Hawaii’s only public television station has gained more international perspectives, increased locally produced programming, expanded fun, curriculum-based children’s shows and evolved into a multi-media organization. The station has embarked on two innovative national firsts: 1) HIKI NŌ: (Hawaiian for “can do,”) The Nation’s First Statewide Student News Network, filling in gaps in community information and developing 21st-century learning and workforce skills on every populated Hawaiian island; and 2) Pacific Heartbeat, a series of documentaries featuring stories of Pacific cultures, airing on PBS stations throughout the country. Ms. Wilcox, born and raised in Hawaii, is a longtime broadcast and print journalist who held on-air and management positions in newsrooms at CBS, NBC and FOX affiliates. She started her career at the old Honolulu Star-Bulletin while a freshman at the University of Hawaii at Manoa. Later she became the Hawaii news anchor for the PBS national program Asia Now, which was seen in 166 Mainland cities. Today she hosts the weekly PBS Hawaii interview program, Long Story Short. 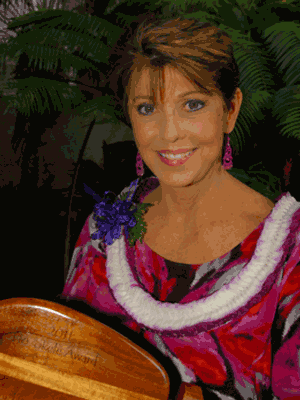 In 2011, Ms. Wilcox received a Ho’okele Award for outstanding nonprofit leadership. The award, from the Hawaii Community Foundation and the Gerbode Foundation, is given to nonprofit directors who show leadership on a broader scale than their own organization.